We have been Greenlit! Thank you! As you might notice we have been Greenlit last week. 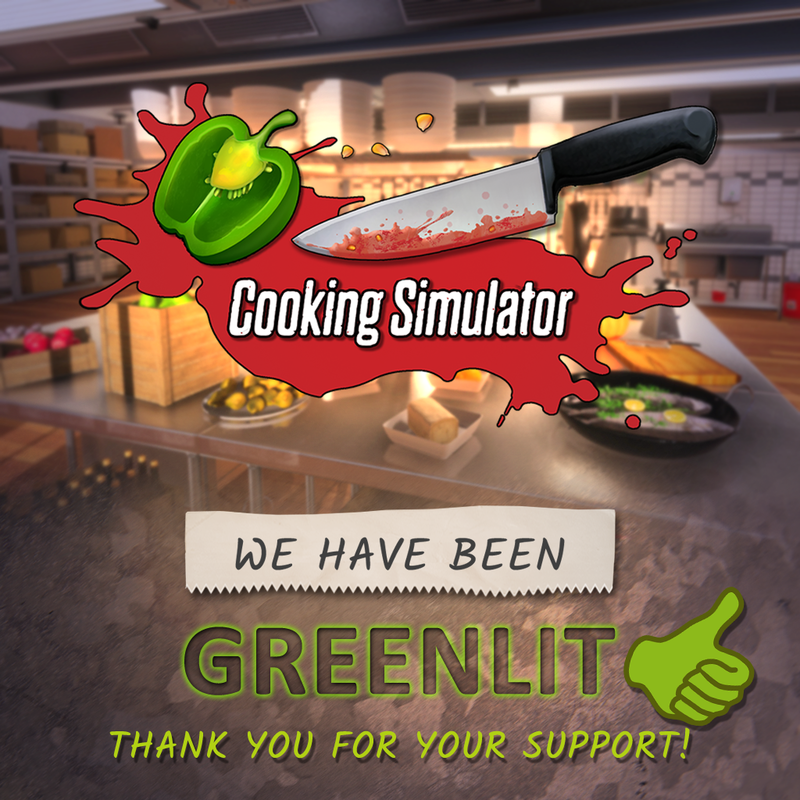 Cooking Simulator has ended as #5 game on Greenlight in less than two weeks. We have decided to add Chinese and Japanese languages, let us know if you think it is a good idea and if you are planning to play in one of those languages. Sandbox mode ?/ Custom recipies ? We have moved the release date to the Q3, and we do feel like in about five six weeks we should be able to set more specific date. Can we play good with a GTX 1060 ?